A week and a half after news hit that the Marc by Marc Jacobs line would likely be discontinued and incorporated into Marc Jacobs’ main line, the brand’s head creatives have already moved onto their next project. 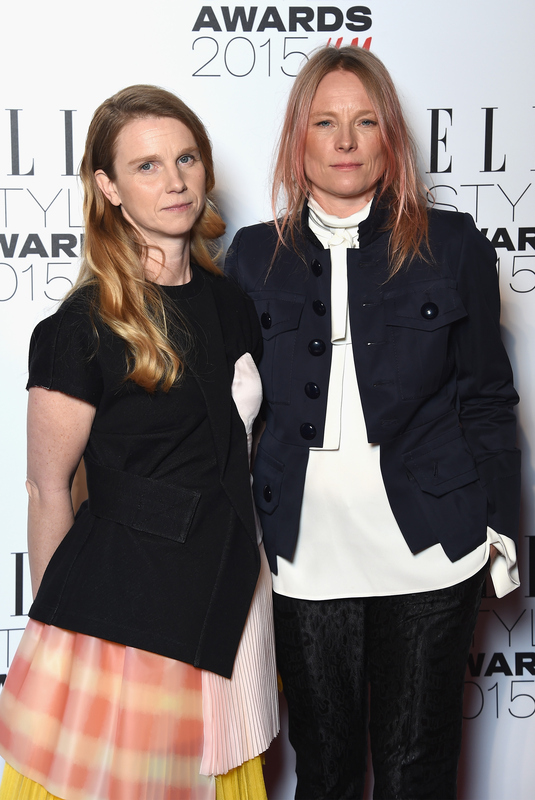 Katie Hillier, Marc by Marc Jacobs’ creative director, and Luella Bartley, women’s wear design director, are releasing a label of their own. Titled Hillier Bartley, the duo have been working on the project for a few years, and they’re launching with a Fall 2015 collection. With a focus on English design, the range of ready-to-wear, accessories, and bags will be predominately produced in the U.K. Expect to see pieces featuring tailored details in silk, merino wool, and shearling, all with a bit of a masculine touch. “We have also looked at the women we admire, what we would want to wear and the inspirations that have been close to us for ages. Its ultimate heroine lies somewhere between Ian McCulloch and Katherine Hepburn. Its about a woman our age, indie by heart, rakish and irreverent by nature, who is maturing into refinement and naturalness,” said Bartley in a statement. Why post such an unflattering photo? These women are much more attractive than this in real life. These 2 women look so depressed because they supported Marc Jacobs in his sick & dirty games against talented fashion designer named Angel Barta. Jacobs has been stealing the designs of Angel Barta for 7 years. He copied her style for many brands and kept her in psycho terror. They are the first ones to experience the instant karma.